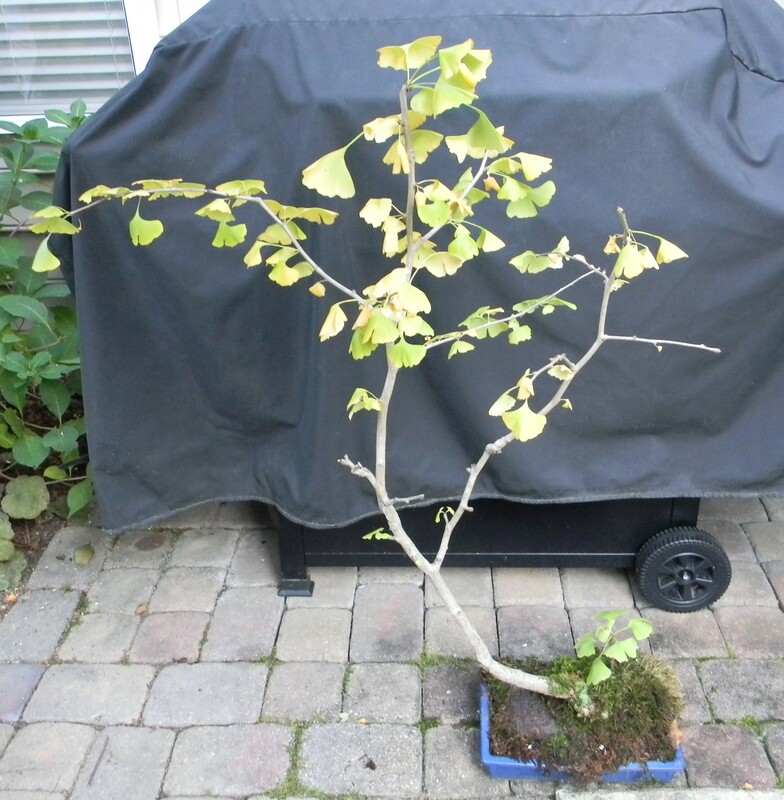 I have been growing a Ginkgo tree (Ginkgo biloba) in a bonsai pot for over twenty-five years. A friend gave me the original seedling that he started from seed, and I was determined to see if I could keep it alive using bonsai techniques. I planted it in a blue bonsai pot I had brought back from Japan, and the tree has now made it through some twenty-five years and at least three long distance moves. It continues to thrive and the only maintenance is repotting every few years, an occasional prune, and regular watering early spring to late fall. It stays outside all year in partial shade. It is particularly special when its leaves begin to turn their lovely yellow in the fall. This isn’t the most attractive vista, but I hope readers will recognize my need for a dark background; it just happened to be on the patio in front of the grill. The moss in the pot came from our woods. 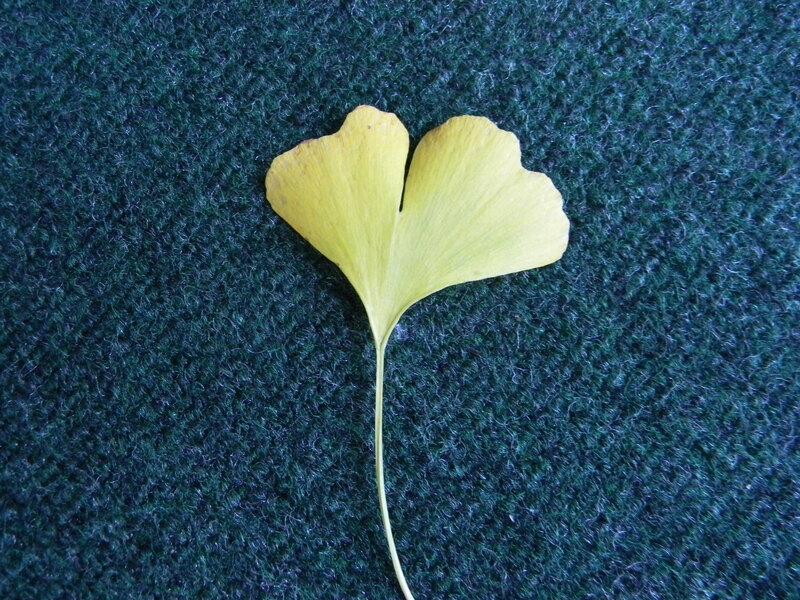 The ginkgo is considered to be one the oldest trees on the planet. Its fan shaped leaves are unique and are particularly beautiful in the fall. Once they start turning, they begin to drop all too quickly, so I had to time this photo shoot carefully. This entry was posted in Gardening, Nature and tagged bonsai, bonsai pot, bonsai techniques, ginkgo biloba, ginkgo tree. Bookmark the permalink.